MP PPT 2019 Application Form has been extended till 23rd April 2019. MP PPT (Madhya Pradesh Pre Polytechnic Test) is a state level entrance examination regulated by the MPPE board. This board is also referred as MP Vyapam. Through MP PPT exam, students will get admission in polytechnic courses offered by different colleges and universities of Madhya Pradesh. Here we are providing details about MP PPT Application Form 2019. MP PPT 2019 Application Form has been extended till 23rd April 2019.Click here to apply. MP PPT 2019 Application Form correction can be done till 24th April 2019. MP PPT application form 2019 is available on 2nd April 2019. MP PPT registration can be done through online mode only. Aadhaar card will be necessary to fill the application form. Upload the scanned images of photograph, signature and hand writing proof in the prescribed format. The size of the photograph will be between 30KB to 200KB. Applicant’s name and date of taking photograph should be mentioned in the scanned photograph. The board will provide the correction facility in the application form. The correction facility will be provided only for some particular fields. There will be no need to send the printout of the application to the board. Fee payment will be done through debit/credit card or net banking. The application fee will be Rs. 400/- for general candidates and Rs. 200/- for reserved categories. Students should have passed the 10th or equivalent exam from any recognized board. Candidates must have science and mathematics subjects in the qualifying exam. It is necessary to obtain at least 35% marks in the qualifying exam. For mining related courses, the minimum age limit will be 16 years as on 1st January 2019. A new page will application instructions will be opened on the screen. Read all the instructions carefully and click on the “Continue” button. Fill all the required details like personal, communication, educational, etc. Now, upload the scanned images of photograph, signature and handwriting proof. After uploading the images, click on the option “Proceed for Payment”. Pay the application fee through online mode, i.e. debit/credit card or net banking. Once the application form is submitted successfully, take a printout of the application for further use. For any other queries about MP PPT 2019 Application Form, you can leave your queries below in the comment box. Mai civil 1st sem ka student tha sec.sem n de ska year break lga h m fir s usi college m civil branch m readmission le skta hu ???? Can the student appear for the exam before the results are declared ? Yes, you can appear provided you must show the result documents at the time of document verification process of counselling. We will update when the dates will be officially announced. And last date lab had…. We will update our article when the registration process will start. Sir , MPPPT 2019 application form kab tak aayega. 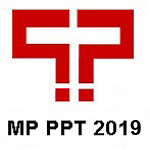 MP PPT 2019 exam will be on 7th April 2019. We will update when the application forms will be out. We will update our article when the official dates will be announced. Online form date issi site par show hogi. We will provide link to fill MP PPT 2019 form when it will be released. We will update our article when the dates will be released. We will update our article when the official notification will be announced. Wait for the MP PPT 2019 dates to get released.